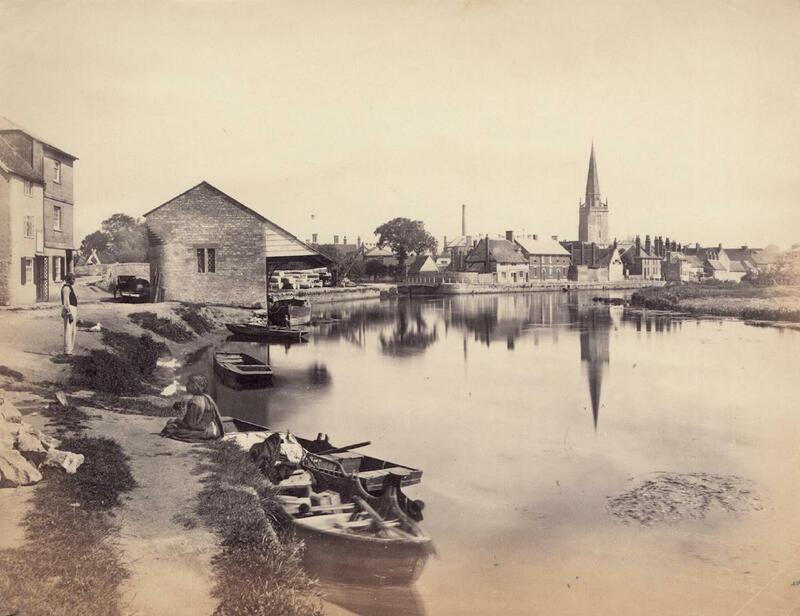 'Abingdon' - Sepia photograph of Abingdon photographed downstream of the bridge. The bridge in the centre below the large tree crosses the mouth of the River Ock. Less easy to see, but immediately to the left of the bridge is the entrance to the Berks and Wilts Canal. Photographed by Henry Taunt c1870.